Taking inspiration from their Parisian chic roots and the urban contemporary styles of their adopted home in New York, the Bitton brothers are currently elevating the IRO brand to new global heights. Striking a perfect balance between luxury fashion and cool casual, the acclaimed design duo is rapidly expanding into major retailers around the world and opening up their debut flagship stores. The freshest footwear collections from IRO include pointed knee-high boots, leather pumps and chunky low top trainers. The brand is now sold in over 40 countries. IRO is inspired by the architecture and spirit of Miami. The name relates to a hidden hero behind the scenes. IRO has recently opened flagship stores in Paris and Soho. French brothers Arik and Laurent Bitton first launched the IRO label in 2005, although Laurent took the long way round to a successful career in fashion. He originally had dreams of becoming a rock star, playing lead guitar in a band that landed a publishing deal with a major French record label, before teaming up with his brother and finding his true path with the IRO brand. The family already had a strong background in fashion. The young Bitton brothers used to help out with ‘Somebody’ – a womenswear company run by their parents in France for over twenty years. But it was a move to New York that proved to be the first step to the brothers forming their own lines of clothing and footwear, fusing their Parisian roots with New York street fashions. In recent years, IRO has opened new flagship stores in London and Paris, and now sell their range in America, Australia, Canada, Korea and beyond. AVA LEATHER BOOTS: Dramatic attention-grabbing tall boots in black with metallic lining. VENIRA LEATHER PUMPS: Stunning boots from the leaders of contemporary elegant design. BLACK LORNA BOOTS: New York street-style boots produced from black leather with mid-high block heel. 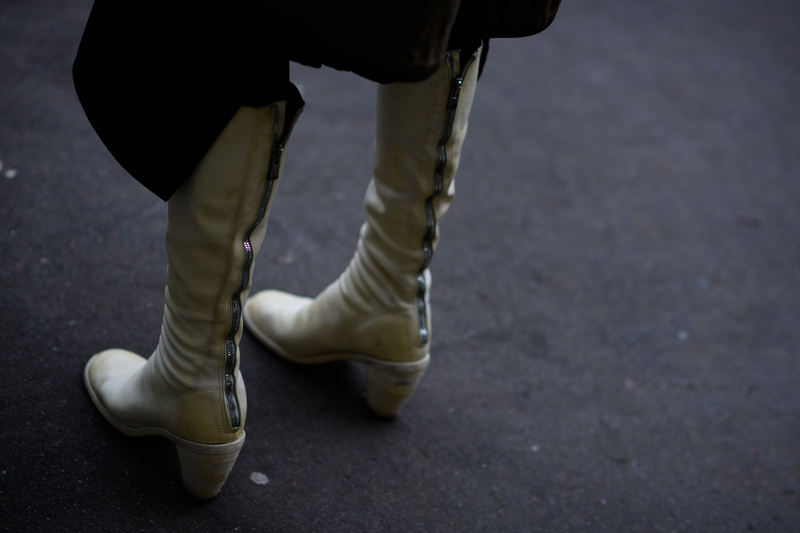 AVINA BOOTIES: Gorgeous white booties from the French artisans of traditional classic design. BLACK LEATHER SLIDES: Crafted from 100% leather, these beautiful IRO slides feature exquisite decoration and buckled straps. Jessica Alba is a big fan of the brand, having been regularly photographed in a variety of different outfits with her beloved pair of grey suede IRO Dankin boots. Hilary Duff has also been spotted in IRO Dankin boots, as well as a pair of black suede IRO Daithy boots that she was recently sporting around New York. Other fans of the brand include Lily Collins, Kylie Jenner and Margot Robbie. AGL ATTILIO GIUSTI LEOMBRUNI: Check out the sophisticated range of feminine-hearted footwear from the Italian experts. GRENSON: Superior shoes crafted with the traditional Goodyear Welting method from the British legends of footwear. COCLICO: Fusing French tradition with casual New York swagger from the environmentally responsible shoe crafters. CASADEI: Lavish and lush new designs from the Italian footwear company with a long legacy in footwear excellence. BOEMOS: Dishing up fresh contemporary styles rooted in the legacy of excellent shoemaking.